Hello you guys! I know, I know. It's been ages. Regardless, I'm back with a beauty-ish review. Side note, I'm currently in my lovely homeland (read: Sabah. Yup, finally.) and I'm pleased to say I have so much time in here and I think Imma dedicate a huge percentage of it to blogging. 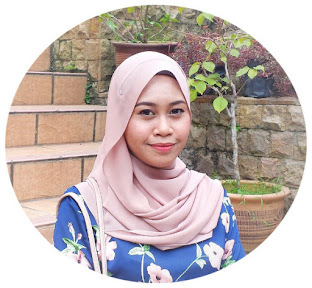 I miss blogging so much! I miss my blogging peeps too, I hope you're all in the pink of health. Anyway, back to the review. I'm going to say it right now, it's really a miracle! Why? I'll tell you in a bit. But, what lead me buying this product all of the sudden? It was my sister. She introduced me this spray and I immediately like it and went to the drugstore to buy it for myself. I'm in my third bottle right now. 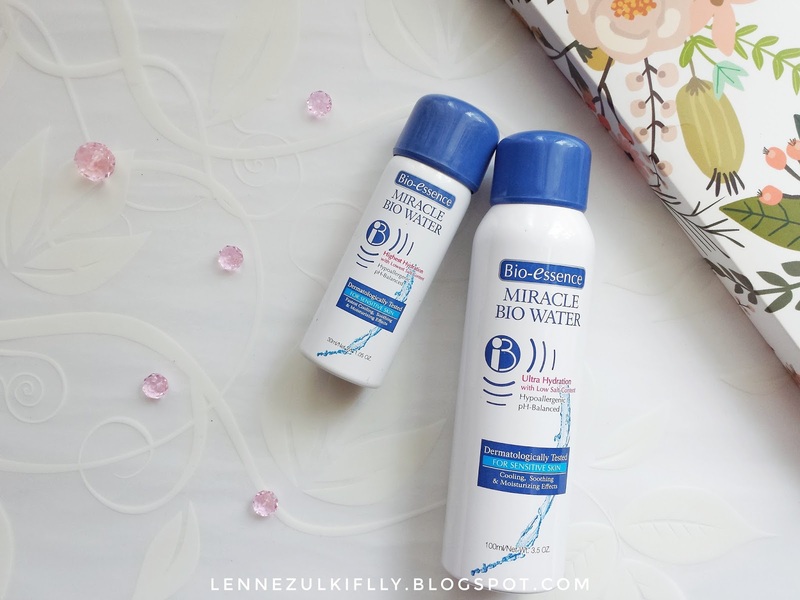 Yes, it has become a staple in my bag so I think it's good enough for me to give you guys a review and my experience using the Bio Essence Miracle Bio Water spray. 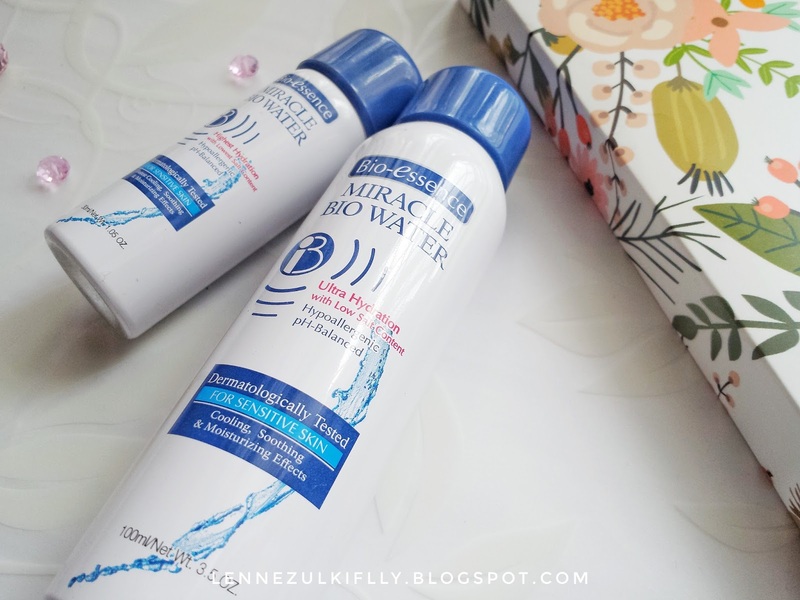 Bio Essence Miracle Bio Water spray retails for about RM32 for 100ml (maybe a bit cheaper or pricier depending on which drugstore you get them) and it also comes in a mini travel size that retails about RM6.90 for 30ml. I usually do a little spritz after I apply my moisturizer and after I'm done with my makeup which acts like a setting spray. Actually, there's no right or wrong way, just do it whenever you feel like you need a little hydration. I felt how my skin instantly became more hydrated every time I use it, the spray left my face feeling much cooler and cleaner. It has the best mist and refined spray! The spray is continuous like an aerosol spray and I'm very much loving it. I also love the fact that this spray has the lowest salt content in it which we all aware that salt has been used tremendously to preserve things. That being said, it will eventually dry your skin out after every application. 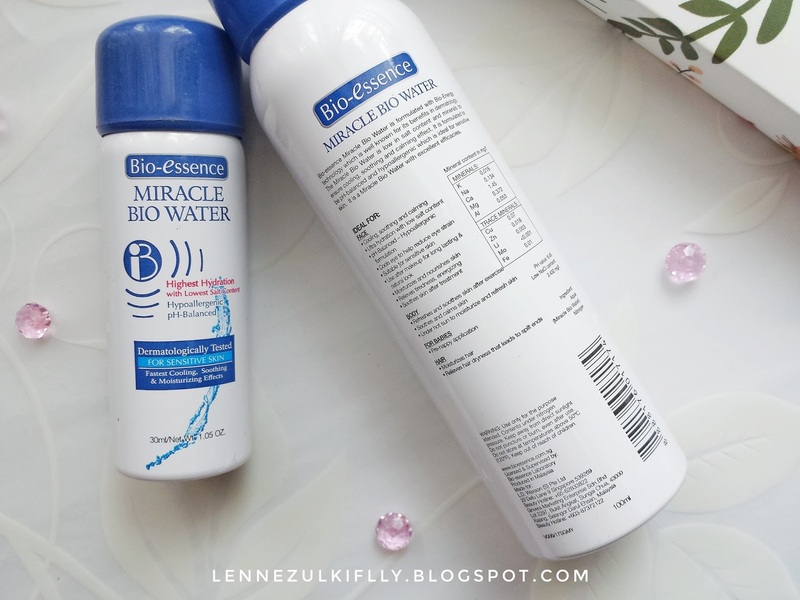 Bio Essence Miracle Bio Water spray has the lowest salt content in it which resembles maximum hydration! Ugh, major love. I can't think of anything bad about this product except sometimes the spray may be broken which lead to poor mist and I hate that. But that's about that. Overall, I really like it. It's really gentle on the face and it won't cause you breakout because it's hypoallergenic. If you're looking for a refined spray, affordable and won't cause pimples, definitely give this one a try. Have you tried this spray? Do you like it? Tak pernah cuba lagi produk macam nie.. Cam menarik je..